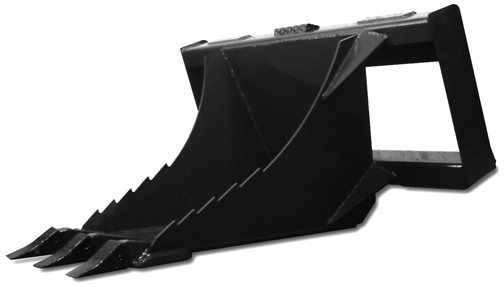 The Heavy Duty Skid Steer Stump Bucket is an excellent addition to your skid steer attachments. Easily dig around the stump, and then pop it out. Some contractors dig house footings with the stump bucket. This stump bucket will enable you to be more versatile in your contracting services. Great for stump removal and digging footings. 3/8" sides, 3/4" x 6" edge.